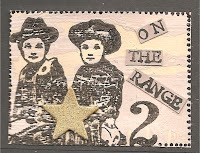 These two ATCs were made for Jo (Madame Fiddlesnips!) on the theme 'Home'. 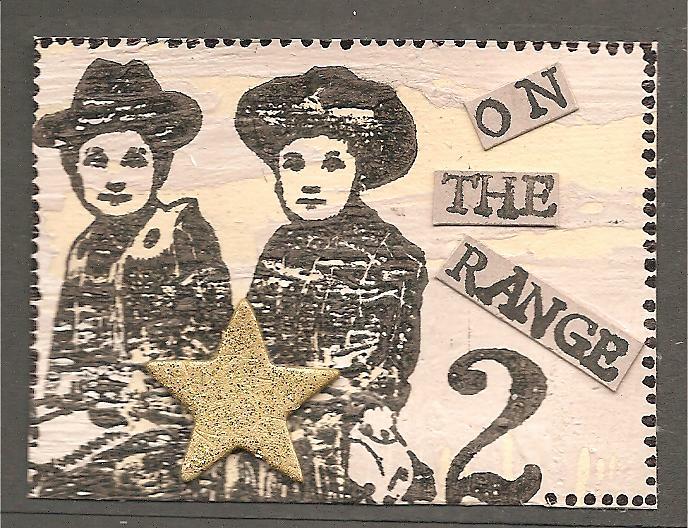 Fabulous "home" ATCs, Penny! Home on the range, is brilliant, love that little guy stamp. 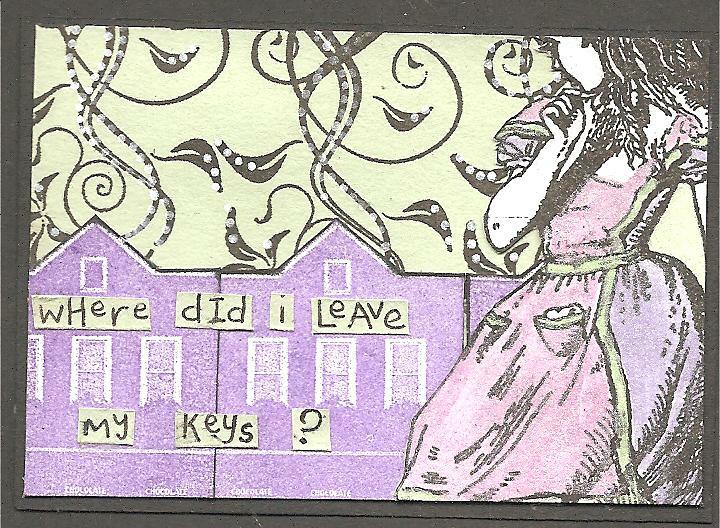 And Alice, imagine her losing her keys, what was she thinking!